I love Camo and pink together. 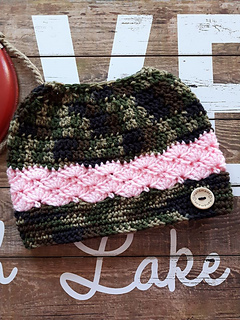 This messy bun hat is, easy, fun and fast to work up. Simple stitches are used throughout so it’s easy enough for a beginner.